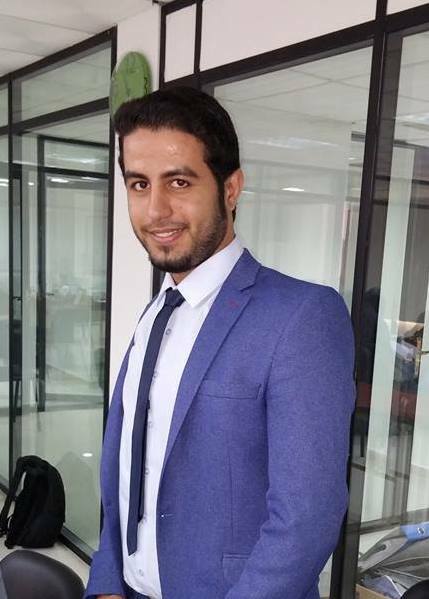 Mohammad Alsamak graduated from University College of Applied Sciences in Gaza with a degree in Mobile Application Development. "I graduated with an average of 96, and I was at the top of my class. I always wanted to design mobile applications, and I was eager to work" says Mohammad. Due to his excellent academic performance, Mohammad was nominated to participate in a training provided by PEFE on Virtual Jobs. "The program was in line with the career I aimed at, and I was excited to participate" says Mohammad. During the program, which was supported by Islamic Relief – USA, Mohammad received Workplace Success training, which focuses on professional soft skills like communication and teamwork, English for Business, and technical Virtual Jobs training, which includes a number of subjects that were essential for working virtually like assessing opportunity, building value and expertise, presenting oneself, understanding the global market, working remotely, contracting, quality assurance, and employment skills globally. "The soft skills, English language, and Virtual Jobs trainings helped me better market myself online, and understand the importance of my online professional profile in landing customers" he says. Today, Mohammad works on a number of projects with different international companies developing programs and applications. One of his applications, called "Just Practice Languages" was awarded by Pal-Apps because of its uniqueness and creativity. Mohammad continues to develop his skills and keep up with all the new updates, and hopes to start his own business in the field of programming.